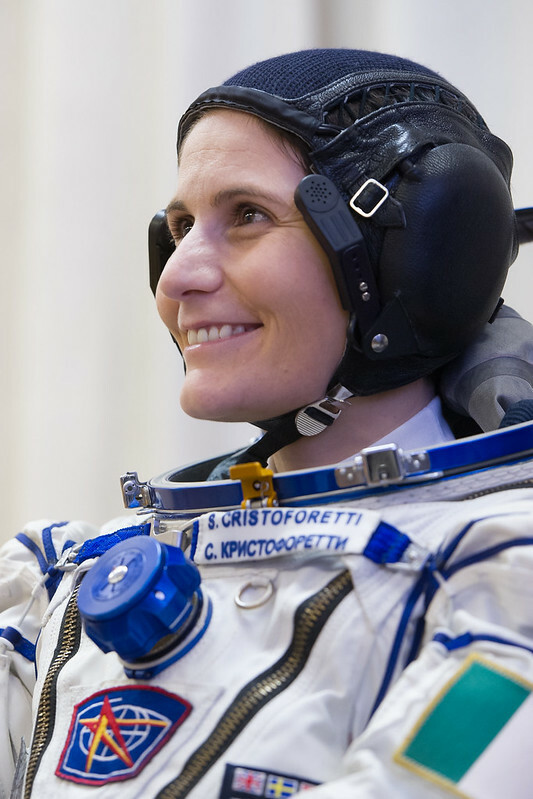 Samantha Cristoforetti began writing her log book in July 2013, 500 days before her launch to the International Space Station. 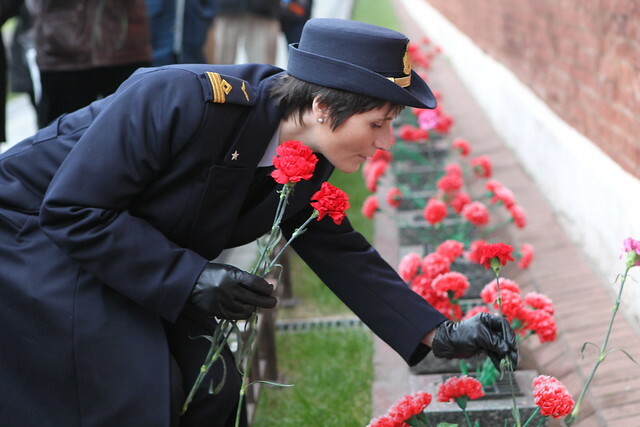 Her logbook entries have been translated into Italian and posted on Avamposto42 from June 2014. To read all about Samantha’s training and follow her join her on Google+. As you’ve probably noticed, I haven’t been writing much this past month – my evenings have been just flying away, divided between the irresistible pull of the Cupola, other outreach projects and many little personal things that need to be taken care of. During the day the Space Station keeps us really busy with science, maintenance, housekeeping, logistics and maintaining our proficiency in emergency responses, robotics, Soyuz flying…you name it. The variety of things we do up here is mind blowing, if I stop to think about it. Oh, and by the way, we also had a Soyuz undock earlier this month, taking home half of our Space Station population. Well, at least in terms of human presence – I’m sure the microorganisms living up here, who outnumber us by orders of magnitude, would claim that it’s “their” Space Station and don’t care much if three biped mammals are replaced by three different ones. We, on the other, do care. It was hard to see Sasha, Butch and Elena leave after being so close for four months and we did become just a little bit apprehensive when communication with their Soyuz was lost during the engine burn, which was somewhat unexpected. So we were happy to hear from Moscow that the search & rescue teams had made contact with the capsule and even happier to see our friends’ smiling faces as they got their first breaths of fresh air in Kazakhstan. In case you’re wondering, we saw them on NASA TV, like many of you, I reckon. Not sure I mentioned before, but we can get a TV station transmitted live on one of our laptops when we have satellite coverage for the Ku-Band antennas. For a couple of weeks the Space Station felt even bigger than usual, with Terry, Anton and I as the only (human) inhabitants. Not only were there fewer people around, but of course we were only getting half of the work done, so there was less com on space-to-ground. Overall, if felt a lot quieter. And now we’re back to six! Scott, Gennady and Misha have joined us last week and have added their personalities to the mix to create the new dynamic of Expedition 43. It’s such an invaluable opportunity to be part of two different crews: in the end, it’s the human interactions that determine our experience up here, so in a way it’s like having two space missions instead of one. And if you have such awesome crewmates as I have had on Expedition 42 and have now on Expedition 43… well, life is good! Also, Terry and I have it really easy in terms of handover: Scott has already been up here for six months just 4 years ago, so he really doesn’t need the amount of guidance and coaching (and patience!) that we required at the beginning from Butch. Scott is basically already autonomous and has already given some inputs that have improved our life and work. Always good to add a new perspective to the equation! So, here we are, it’s April 1st already and, barring changes, my Soyuz will undock on May 14th. With me onboard, unless I hide really well. I have only 42 days left on ISS, which is of course a cool number, but it’s also not much. If I sound a little sad saying this, it’s because I am. Anyway, with so little time left I am committed to resume regular logbooks: there is so much still that I have to share with you! I thought I’d start by sharing some picture of life and work from the past four months: check out the captions for some insight. Talk to you soon! Lots of experiments filling up my days this past week – sorry I didn’t keep you updated much, but it’s really busy up here on humanity’s outpost in space! Some experiments were old acquaintances, like “Circadian Rhythms”, and several were new entries, like ESA’s “Airway Monitoring”. I talked about this latter pretty extensively in my training logbooks, like for example in L-129. For now, after some teething problems with the hardware (which is quite complex and partly used onboard for the first time), Terry and I got all the required data for the “normal” pressure session: in a few weeks we’ll perform the reduced pressure measurement, for which we will lock ourselves up in the airlock and lower the pressure around us. You know, I don’t think that there any laboratory technicians on the planet who get to work on such a wide range of science as we do: I assume that all laboratories on Earth are more specialized and the scientists and technicians well trained on discipline-specific tasks! We, on the other hand, don’t have refined skills and wide experience on any of the science activities we perform: in some cases we’ve had a training session many months ago, in other cases we get some training onboard, like videos or slides. And of course some astronauts have a background in experimental science, but they are not the majority: most of us rely on very detailed procedures and, for the most complex operations, on real-time support from the ground by the experiment developers and/or the investigators. Sometimes they only talk to us via the regular communicators on duty in the control centers, like the Eurocom for ESA activities, while sometimes they are even enabled to talk to us directly on a space-to-ground channel, which in that case is dedicated only to them. My own background in science is limited – what you get with an engineering degree – and if I had chosen an education in science, instead of engineering, it would have been physics, so even then I would have hardly had a chance to work with cell cultures and multi-generational experiments on fruit flies and worms. And I’m not sure that I would be cut for it as my full-time job – it probably requires more patience than I possess – but I do have a lot of fun working on these experiments here on ISS! For example, on Monday I got to work again on the experiment “Epigenetics”. My little friends in this case are not fruit flies, but another animal commonly used in research as a model for larger organisms: a millimeter-long worm called Caenorhabditis Elegans, for friends C. Elegans. And just like with the fruit flies, we want them to make babies: a total of four generations will grow onboard and specimen of each generation (adults and larvae) will be preserved in the freezer for return. Dragon brought up the C.Elegans in starter syringes and I injected them into culture bags last week to start incubation. Then on Monday I extracted the babies using a special syringe equipped with a filter, that would not let the bigger adult worms go through. The first generation adults remained in the original culture bag and were frozen, while I inserted the second generation babies into another culture bag to let them further incubate. The purpose of the experiment, as the name suggests, is to study inherited epigenetic changes: that means changes in gene expression, but not in the DNA itself. Let’s put it this way: the environment cannot change the genes in your DNA, but it can affect how your genes are expressed, or “activated”. The worms will adapt to weightlessness and that will cause changes in their gene expression, so the question is: how, if at all, will these changes be inherited by the offspring? Fascinating, isn’t it? Another weekend has gone by and it’s time to get ready for a new week of work on humanity’s outpost in space! As I wrote last weekend, Saturday is the cleaning day. It’s also the day when you have some more time for personal hygiene, when you can take a luxurious bath… ehm, just kidding. But, in space terms, it’s still a luxurious day: you may choose, like I do, to inaugurate your fresh, clean, new towel on Sunday. It’s not exactly shower size, more like what you would use in your home for drying hands, but it’s still nice. We also get a “shower in a bag” every second day: it’s one of those camping towels that you impregnate with water – most of ours come wrapped in an pouch with the same interface for the water dispenser as the drinks, so you can dispense water directly into the bag without spilling any drops around. And we have a pouch of liquid soap every second week. So, recapping, wash with your camping towel and the liquid soap, dry with your weekly real towel. We also have a washcloth per week, I typically use it for drying off sweat during exercise for one week, the next week it graduates to spitting towel for toothpaste. I know, I’m high-maintenance: many astronauts just swallow it. Hey, if the spitting in the towel was already too much information for you, you might want to stop here, because it gets better. How about cutting your fingernails in space? I am a bit embarrassed to admit that I had postponed this operation until yesterday, because I was a bit intimidated by it. How do you make sure that your don’t lose a cut-off piece of fingernail in the cabin, which could end up in somebody’s eyes? That would be very poor space etiquette. People have told me that you do that close do a ventilation return grid, but I wasn’t 100% convinced that it would go smoothly. Anyway, I’m happy to report that it worked great. I found a return grid with a very fine mesh and a robust airflow and I carefully cut my fingernails just in front of it and sure enough, all the pieces went in the right direction and stuck to the surface of the grid. In the end I only had to vacuum clean. Another thing we like to do on the weekend, if it sort of matches the prescribed usage rate of food, is to refill our boxes of dishes in Node 1. Food supplies are organized by type, like meats, vegetables, fruits and nuts, breakfast, etc… when we get a new package out, like the one I’m holding in the picture, we scan it and move it to the “deployed food” location in the inventory system, so the ground always knows where we stand with food. Little boxes, like the ones you can see in the left part of the pictures, serve as our kitchen shelves to store the deployed food packages in Node 1. There’s a label on the front of each box to note the date on which that type of food was last replenished: this way we can make sure we’re not going through the food too fast! Today I have take over from Terry what we call “The Duty”, a weekly rotation involving a number of administrative and housekeeping responsibilities: turning on the lights in the morning, turning them off in the evening, closing the shutters of the Cupola windows at night, but also running our Daily Planning Conferences with the control centers and keeping an eye on the Daily Summary. This latter is a document that is uploaded every morning to ISS and contains some critical information for the safety of the Station (for the case we had a major failure and we went Loss of Com with the ground), as well as a Q&A section: questions for the crew and answers to questions the crew had earlier. It also has the manning roster of all the control centers for the shifts of the day, so we can always know who is on console in Houston, Huntsville, Munich, Tsukuba and Moscow. My second week on ISS has started and it’s time to start collecting samples for a couple of human physiology experiments: Microbiome and salivary markers. This morning, as I woke up and opened up my schedule on the laptop (conveniently located 10 cm from my nose in my sleeping unit), I have found a friendly reminder inserted right after wake-up time: no eating, drinking of brushing teeth before collecting the saliva samples! I had already had a short activity yesterday: to go and gather all the necessary equipment, which I had then stowed in my crew quarters, so I had everything ready to take three samples, a collection that I will repeat daily for the next seven days. A second short activity on my timeline contained the location where I had to store the saliva samples. Simply put, they go into the freezer within 30 minutes from collection, but where exactly? We have three MELFI freezers onboard, each has four drawers, each drawer has four sections and each section has multiple stowage boxes. Since it’s a freezer and it takes a lot of energy to keep it cooled, whenever we open the door we don’t want it open for longer than 60 seconds. It’s worth taking the time to be really sure of the location the samples go to. That’s especially crucial for retrieval, of course, when you need to quickly locate what you need to transfer out of MELFI and likely into a cold bag for transportation back to Earth. Tomorrow morning, by the way, I will also have a blood draw. Since it’s my first one, one of our medical trainers will be on console in Houston, ready to assist and answer any questions. My physical trainers were also on the ground ready to give feedback today for my supervised exercise session on the ARED: that’s when you setup a camera and the trainers can watch real-time your exercise form and give you suggestions. The proprioception in space is quite different and you might be doing your exercises with poor form without realizing it, leading to reduced effectiveness or even injury. ARED sure takes some getting used to: for example, when you do a squat, not only you move the bar “up”, but you actually push “down” the platform that your feet are standing on. And the entire machine is free to move on three axes (that’s how avoid inputting loads onto structure): the first couple of times I did squats I had the feeling, after every repetition, that the machine was forcing me to fall forward. Anyway, however hard your workout was, when you get to benchpress or crunches and you’re laying with your back to the platform, one thing is sure: you have the best view a gym every had. You’re facing straight down into the Cupola and through the windows onto the planet! Among the many other activities of the past two days, I had one that was particularly fun: I had to remove a connector in a hard-to-access location on the Lab endcone and for that I had to lower the Lab forward hatch. That’s quite a big deal, by the way: we always keep the hatches open, for safety reasons. In this case, even if I did not latch the hatch, but only lowered it, we had to make sure that everybody was in the Lab or aft of it, meaning that nobody was cut off from our escape vehicle (our Soyuz) in the unlikely event that for some reason the hatch got stuck in the lowered position. In the picture you can see the hatch lowered, as I fly up to reach the connector. Also, on the right side, you can see one of the MELFI freezers with its four circular drawers. Yesterday Terry and I had one more day (I assume the last one) with a lighter work schedule that included time for orientation and for handover with Butch. Still, I got to do a lot of different activities both on the payload side (that’s a fancy name for science) and on the systems side (that’s another fancy name for maintenance work on the Space Station itself). On the science side, I performed an ultrasound session for the Italian Space Agency experiment Drain Brain. The specific hardware of this experiment was lost on the Orbital mishap, but a replacement hardware will be on its way soon on the SpX-5 cargo mission. In the meantime, we could get the science started with the standard ultrasound equipment of the Space Station. Of course, I’m not able to do an ultrasound on my own: a private audio channel was set up with the Principal Investigator on the ground, who provided remote guidance based on real-time data from the ultrasound machine. He could also see a live video downlink of me performing the operations. Things went pretty smoothly, especially thanks to the fact that in the morning I had assisted Butch in performing his ultrasound (a more complex one, requiring two people) for the experiment Cardio-Ox. Butch had introduced me to a great trick of space ultrasound: no need to use a messy gel on the ultrasound probe, you can just use water! Yesterday I also got to do my first systems maintenance, replacing one of the many components of our Water Recovery System: that’s the equipment that produces our potable water from (already pre-processed) urine and from the condensate (the water recovered from the cabin air, for example from our sweat or from our breath). I’m also happy to report that I had a chance to work in our European cargo vehicle, the ATV5. Nothing very complex, in truth: I got to introduce some gas from the ATV tanks into the Station atmosphere, increasing our onboard pressure by 7 mm of mercury. I was also scheduled to do a visual inspection of our T2 treadmill, in particular of the elements that make up its vibration isolation system. As you can imagine, we don’t want to impart big loads on the structure of the Station when we run: on the one hand, to preserve the lifetime of the ISS; on the other hand, it would be hard to make microgravity science if the Station was shaking while we are running! Good news, our vibration isolation system is in great shape! Still, some activities require that there be no running on T2. Just yesterday, we had quite a few hours on “No T2” on the crew constraints band of our electronic schedule. That’s because JAXA was moving the Japanese robotic arm for the deployment of the Spinsat satellite, which happened successfully. In the picture, you can see part of the SpinSat when it was still on the slide table of the Japanese airlock (looks like a metal sphere). At that time, the Japanese robotic arm was about to move in to grab the satellite with its deployer and we took a peak from the JEM windows. With some delay, a few words about my day yesterday on humanity’s outpost in space! Most of my day’s activities were dedicated to the Italian Space Agency experiment “Blind and Imagined”. I’ll confess, not the easiest experimental setup, especially for the ISS visitor with the least space time ever (that would be me, at least for a few more days – hey, you have to find your records where you can!). “Blind and Imagined” takes place in the Japanese Laboratory JEM and requires setting up a set of four cameras called Elite, which monitor a specific volume in the module. Inside that volume, the subject performs a series of movements and the motion in three dimensions is tracked precisely by the Elite cameras, thanks to a series of reflective markers attached to the subject’s body: its’ basically little spheres, the size of a marble, with special optical properties. They clip on an adhesive strip and can therefore be applied on the skin: I had to put a number on them on the right side of my body, from the ankle to the forehead, including quite a few on the hand for the second part of the protocol, in which I had to imagine throwing a ball to a target with different force levels. In the first one, instead, I had to reach for a target in front of me, bending at the hips and the ankles, sometime with open eyes, sometimes with closed eyes. The experiment is aimed at studying sensory-motion adaptation in space. How does your brain adapt its strategy of controlling movement and balance in this very alien condition of weightlessness? Any understanding we gain into the functioning of the brain could help us in time in treating people with neurological disorders or injuries. Well, the “Blind and Imagined” investigators will draw their rigorous conclusions from the data, but I certainly have fun just observing the tricks my brain plays on me. For example, when I find myself moving along, say, the ceiling, my brain thinks that that’s the floor, so when I have to turn into a side module I’m constantly tempted to make a wrong turn because my brain expects it to be on the opposite side. Or sometimes I have to make a conscious effort for a second or two to figure out where I am: is it the floor, the ceiling, a wall? I’m sure it will all become quicker with time, or at least Butch says so. Also, yesterday I had some great rehydrated asparagus, so far my favorite rehydrated veggie from Self-Service Restaurant Node 1! Saying good bye to my family, suiting up for launch, getting to the launch pad, riding up the elevator, strapping in… and then the launch, this wild ride to orbit and then an abrupt engine cutoff and feeling my body wanting to float off my seat. And the first glimpses of Earth: my first sunrise, the stars. My first sight of the ISS as we approached (more to that later) and then floating through the hatch into the warm embraces of Sasha, Elena and Butch. The first clumsy attempts at “flying” , having our first meal, Butch giving us the toilet brief, Terry calling me to watch a sunrise from the Cupola.. and so many more impressions. It will take my brain days to process it all and I promise I will share as much as I can! I had released my shoulder straps quite a bit at that point, so I was floating over my seat. As I turned to look outside, at first I looked back and saw one of our Soyuz solar panels, which I had seen before of course. Then my eyes caught something in the peripheral view. And as I slowly turned my gaze and when I realized what I was seeing, I was overcome by pure amazement and joy: the Space Station was there, but not just any view. The huge solar panels were flooded in a blaze of orange light, vivid, warm almost alien. I couldn’t help exclaiming something aloud, which you can probably hear in the recordings of our docking, since at that point we were “hot mic” with Mission Control. Anton reminded me of that and so I tried to contain my amazement and return to the docking monitoring. When I peaked again later, the orange glow was gone. Butch told me later that he had heard my amazement on com when “the Station had turned orange.” I didn’t know, but apparently there’s only a few seconds during day-night transition that the Station is lit by that amazing orange glow. And it happened to be exactly when I peaked outside! I feel very fortunate that I had such a unique first glimpse of our human outpost in space: such a great welcome! Which was only trumped, by the way, by the amazing welcome our veteran crewmates Sasha, Elena and Butch prepared for us! Immediately after our arrival they took us to the Service Module to say hello to our friends and relatives in Baikonur and as soon as we have a few minutes break in the cm coverage they started to “ set the table” with all the food they had already warmed for us! Well, I told you that it might not be my last pre-launch logbook yesterday. I woke up a bit earlier from the planned 5-hour nap and there’s no point in trying to go back to sleep, so here I am, sharing a few departing thought. The doctors will show up in about 40 min to start a series of hygiene operations: before going to space I’ll be as clean as I’ll ever be, outside and inside (if you get the message, I’m not going into any details here). I’ve picked up my computer and come back to bed. My last time in a bed for many months. Who knows if my body will miss it or will like sleeping in weightlessness. The nap has been weird: part of my brain was dreaming, part of it was awake watching myself dream. But that’s how the past few days have been: part of me was living all the events, meetings, traditions of the past days, and part of me was almost watching a movie unfolding. Now almost everything is done. My bags are neatly packed and will be taken to their final destination by my family, the backup crew and the ever helpful ESA support personnel. Hopefully, it’s all properly organized: part of the luggage will go into my landing bags, one for the nominal landing site and one for the ballistic site. Part will go home to Cologne, part will eventually find its way to Houston for my return. Email is set up with out-ouf-office replies: kind of cool to be able to write “Sorry, I’m off the planet for a while”. Many friends have made it all the way to Baikonur (you guys rock! ): we’ve had a chance to spend some time together, albeit in the somewhat awkward condition of having to talk through a glass wall. I could have direct contact with my closer family, who have been medically monitored. All will be waving us goodbye in a few hours as we exit the building to board the buses to the cosmodrome. In a day like this (well, will there ever be another day like this?) I feel that the most important thing is to say thank you: I’ve had many occasions to thank publicly the organizations that have made this spaceflight possible for me. But now I would like to say a more personal thanks to my family, my friends, my teachers, my colleagues, all the many people who have helped me arrive to this day, by supporting me or by challenging me, by teaching me something or simply by being there for me. I go to space with all of myself, with everything that I am and I have experience, and I certainly take with me every person I have met. I’d like to share a picture that our backup, Oleg Kononenko, took on Friday as our rocket was raised on the launchpad. I can almost see my seat up there at the top! Don’t forget to play our #LaunchPadPlaylist along with us tonight around 30-40 min before launch. http://open.spotify.com/user/astrosamantha/playlist/4lCptzXoF7j8DnfRDxdmTr All the best, and talk to you from space! Well, this is likely my last countdown logbook (or maybe the second last). Over two weeks ago I told you about our final exams in Star City. In the meantime, the countdown is almost down to zero and it will be soon time to start counting up… from orbit! …we had a meeting with representatives of the search and rescue teams, hundreds of people and dozens of assets deployed along the ground track of our ascent all the way to the Pacific to rescue us in case of need; and also ready to rescue us back in Kazakhstan should we need to do an emergency landing in the following few orbits. …we had a meeting with the ballistic group, giving us the latest information from their side. To spend a few more words on that: if you’re counting down to the second, you might want to know that start has been moved by one second to 00:01:14 Moscow time (that’s 21:01:14 GMT, but we use Moscow local time on the Soyuz), with a maximum acceptable delay of 10 seconds. The rocket will burn for 528 seconds, thus inserting us into a slightly elliptical orbit with an average altitude of 220km. The phase angle will be about 25°, which means that we will be 25° behind the Station. Since we’ll be also about 200km lower, we will be faster and catching up (that’s orbital mechanics for you). 25° is a bit less than the ideal phase angle of 30°, so we will have to raise our orbit quite a bit: we don’t want to catch up with Station too fast! About 45 min after launch and then again about 45 min later we will give engine burns of over 30m/s each that will raise our orbit and, that’s the magic of orbital mechanics, also slow us down closer to the speed of ISS. Later we’ll have two more small correction burns to completely fix our orbit and then, about 3 hours and 45 min from launch we’ll start the rendezvous sequence with the Station, progressively raising our orbit to Station altitude and diminishing our relative speed (at docking, it will be only about 8 cm/sec!). At about the same time the Station will maneuver to turn around 180° and put the Russian segment in the direction in flight: in the very last portion of rendezvous, we will actually fly ahead of the Station, so in the final approach we’ll be flying in front of it. Docking is planned for 5:53 Moscow time (02:53 GMT) when we’ll be about to cross the equator off the Western coast of South America. But probably we’ll dock a bit early: once we’re aligned and station keeping at 150m from our docking port, most likely Mission Control Moscow will give us permission to give the final approach command a bit earlier. But the way, due to maintenance work at the usual Pad 1, we will launch from Pad 31. Since we can not go to the rollout as prime crew, I’ll see it for the first time on launch night…ehm, tomorrow! Here’s a picture of the traditional blessing of the rocket this morning. Back then, when it was time to pick one of the five envelopes with the exam scenarios, we happened to pick the most difficult (and physically uncomfortable) scenario, the one with the fire. Since we picked that one, it was not available for the prime crew to pick on the next day. This time, our backup crew did us the same favor: they had to face the fire scenario in their exam on Thursday, so when we showed up on Friday to pick from the four remaining envelopes, at least we knew it wouldn’t be fire for us again! Our first failure was after insertion: a thermal control system valve failed, so for the rest of the sim we had to control temperature manually by turning on and off the pump that circulates water to the radiators. Our CO2 scrubbing system in the orbital module also had a minor failure: the primary fan engine failed and the automatic switchover to the backup engine didn’t happen, so we had to take care of that manually as well. After the lunch break it was time to simulate undocking and descent. We could assume that the main computer was back online at this point and did a nominal undocking, after which we realized that one of the oxygen tanks, the one located in the descent module, was leaking oxygen into the cabin. That’s a dangerous situation, because we don’t want the oxygen percentage to go over 40%, which is considered a flammability hazard. So we closed a valve to isolate that tank. Until separation, we anyway have four more oxygen tanks in the service module and after separation, we had enough oxygen in the cabin to breath until landing, so no need to open the valve. (If you don’t remember what separation is, I explained it here: https://plus.google.com/+SamanthaCristoforetti/posts/dm5pW651AkL). But we did have to reopen the valve after the thermal shield was blown away: that happens at about 5 km altitude, well after parachute opening. Once the thermal shield is gone, a command is sent to open two redundant valves (over which we have no manual control) that allow remaining oxygen in the descent module tank to be vented. It would be quite dangerous to have the tank full of oxygen at landing, so we had to remember to open the manual valve as well, to allow the venting to occur. In between we had a couple more failure, of course. The main engine failed on us halfway through the deorbit burn and a signal converter in the reentry control system didn’t work, leaving us without gyroscope and rate sensor: only solution, switch to ballistic reentry. Not even the “prime” ballistic reentry system, but a backup one, that makes use of a its own backup rate sensor. The Soyuz does have a lot of options to down-mode reentry following all kinds of failures: one way or another, it brings you home!